Ever wonder about the rich discoveries being made at Anza-Borrego Desert State Park®? 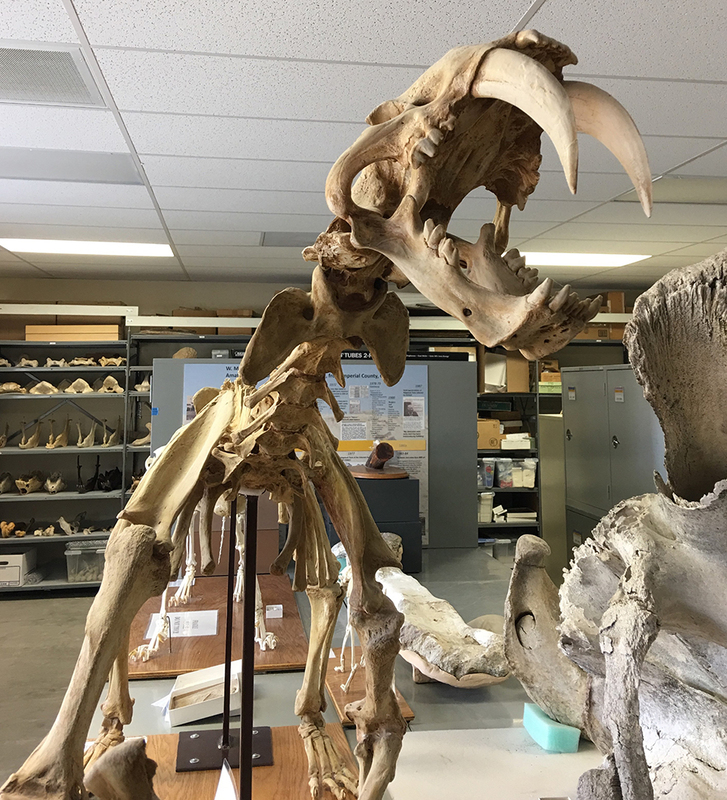 The Colorado Desert District will be offering a limited number of Behind-the-Scenes Tours of our outstanding archaeology and paleontology labs. You will be able to see some of the amazing collections and ongoing research not seen by other visitors. Cost of tour is $25.00/person, non-refundable (does not include $10 day use fee per car). Each tour is limited to 10 participants. The tours are approximately 90 minutes, starting at the Anza-Borrego Desert State Park® Visitor Center plaza and entail considerable walking and standing. You can make Behind-the-Scenes Tour reservations by filling out the form, e-mailing Anza-Borrego.Tours@parks.ca.gov, or by calling 1-760-767-4037 (Monday - Friday 8:00 a.m. - 4:30 p.m.), 711 TTY Relay Service. You will be contacted to confirm your reservation. Tour Times: 9:00 a.m., 11:00 a.m., and 2:00 p.m. (Please arrive 15 minutes prior to tour).